Teens want to be good drivers and deserve support and informed guidance while learning. I am an injury prevention educator for a local hospital and teach youth and parents how to utilize GDL components effectively. In an effort to reach more parents with this important information, I am sharing much of what I teach through a series of articles. Car crashes are the leading cause of death for US teens. 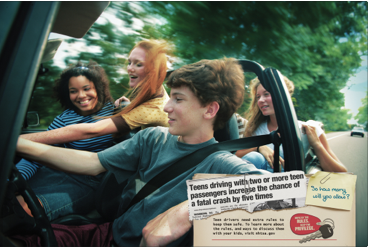 Sixty-one percent of teen passengers are killed while riding with a teen driver. There are ways that help evaluate the teen driver’s maturity and experience that may increase his or her safety. In the first of a series of articles about Teen Driving Safety found on the Ezine Articles site, I begin with information that has nothing to do with the operation of the vehicle. Wear your safety belt like this and risk a broken back and ruptured internal organs. Before handing the keys of the car to your teenager this summer, are you sure your teen is adequately prepared and mature enough to take on the serious business of driving? Remember these words from a parent victim speaker, “The worst day you have arguing with your kid about implementing the tips and strategies offered by the injury prevention educator is better than any day you will live without him”, then properly prepare yourself to teach your teen to drive. If you are unfamiliar with GDL, please educate yourself by reading the EZINE articles I have written about the reasons for and importance of GDL and be empowered because…. The fact is, there is NO substitute for a Parent investing at least two years of driving practice to develop a teen’s skills and maturity before licensing a youth for driving responsibility. In response to the fact that a car crash is the leading cause of death for American teens, most US states and territories have adopted GDL laws. GDL is the acronym for Graduated Driver’s Licensing. While GDL does not guarantee your teen will avoid being involved or injured in a crash, understanding how to evaluate the teen driver’s maturity and experience combined with effectively utilizing the law can increase his or her safety. Visit your Department of Transportation for a complete over-view of GDL laws for your state. The information I teach does NOT replace the value or importance of attending a formal driver education class, nor should Parents rely upon the formal driving course as a guarantee of a teen’s driving expertise. You spend the first two years of your child’s life teaching him to crawl, walk and talk. I do not know of one child killing another and himself when learning to crawl, walk or talk, however, presently over 6,000 American 16-year old teens needlessly die annually from driving inexperience and immaturity. Every state is different! CAUTION! If your teen has a license with plans to go out-of-state to prep school or college, be sure to familiarize yourself with the GDL laws of the state in which he/she will be attending school. California REQUIRES youth to attend classes and be re-licensed in California before being a legal driver. Here is a pdf copy of How to Utilize GDL Effectively Revised 12-10 How_to_Effectively_Utilize_Handout-_pdot_logo which includes a Teen Driver Contract for Oregon youth. The Second article in the series offers several tips when making decisions about Teens transporting passengers. 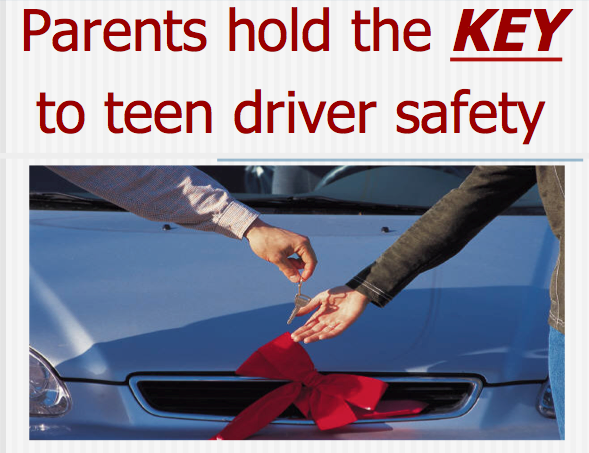 For more tips about Utilizing GDL laws effectively be sure to read the other Teen Driver Safety articles, click links belowor visit the Resources for Parents page of Legacy Emanuel Medical Center where you will find an ‘editable’ copy of the Teen Driver Contract. Please put cell phones in the glove compartment while driving. The part of the brain required to be engaged while driving is identical to the part of the brain engaged when talking on a phone. Try this simple task as illustration: Deal out a deck of cards for four hands. Now, call a friend and try dealing out the deck of cards again. 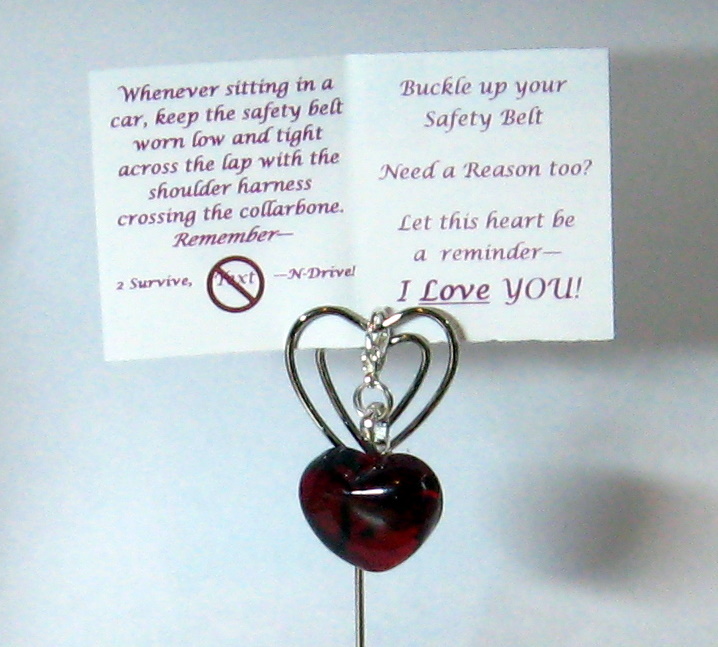 My injury prevention background led me to create the Snug Hug Key Charm for a gift that says I love you as a great Parent to Teen positive and simple reminder to ‘buckle up’ and not text while driving. Available only in my Etsy shop. TYSM Susan. With greater exposure for this important information we can save a few American teens! Great Information! Thanks for sharing! I Tweeted, Pinned, and Googled! U betcha Linda. TYSM for your comments too! TYSM for stopping by to read Sarah! So glad you stopped by Maria. Maybe you can share the info with everyone you know who has a pre-teen or teen. Sharing with friends with teen drivers! Thank you! TYSM Lynn! I was hoping you would share too! Great blog! Shared on my social media! Thanks so much Donna. I encourage you to leave a link to your blog so other’s can visit.